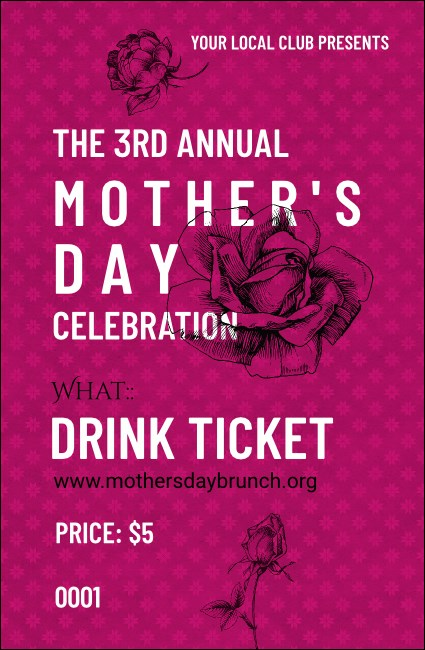 Invite your guests to join you in a toast to the most important ladies in your lives with Stylish Rose Drink Tickets. These blossoming beauties feature a gorgeous, luscious pink background with a flowered pattern and include the images of three traced roses. With numbering for security, these tickets will help keep your event organized. Let your event bloom with TicketPrinting.com.